On September 1, 2016, the Maryland Court of Special Appeals issued an opinion that confirmed what most of us already knew. You cannot get what you want unless you ask for it – in writing. In the case of Huntley v. Huntley, a husband and wife filed for divorce after 28 years of marriage. 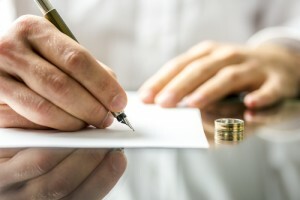 The wife filed a Complaint with the court requesting a divorce, alimony, a monetary award, a share of the husband’s retirement benefits and payment of the attorney’s fees. The husband filed an Answer, but only denied his wife’s entitlement to alimony and a monetary award. He did not mention that he wanted a portion of his wife’s retirement in his Answer or in a Counterclaim. At trial, the husband then asked the Court to award him a portion of his wife’s retirement. The trial judge denied the request, on the grounds that the husband never asked for a portion of the wife’s retirement in his pleadings. The Appellate Court found that the trial judge was correct, and the husband was required to ask for a portion of the wife’s retirement benefits in his pleadings. If the wife had known the husband wanted a portion of her retirement benefits, she could have taken a different trial strategy and requested alternate relief. The lesson here is that it is very important to include any relief you want from the Court in the pleadings of the case. If you do not ask for it in writing, you cannot get it at a later date.